The fourth edition of the World Baseball Softball Confederation (WBSC) U-15 Baseball World Cup® -- baseball's highest-level competition for players aged 13-15 years old -- will open today (Friday, 10 August) in the Panamanian cites of David and Chitré. 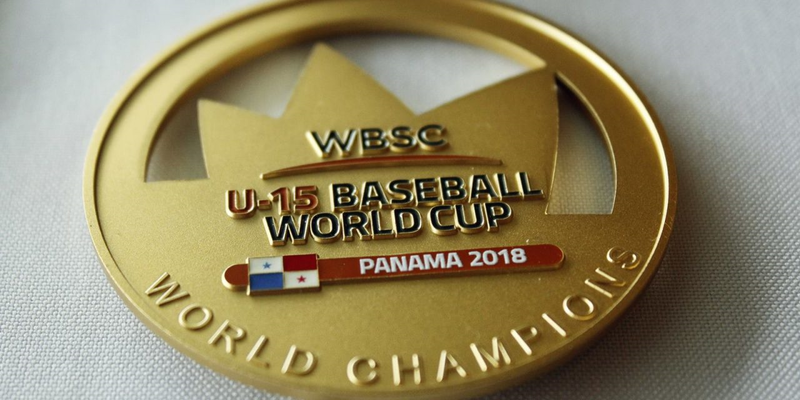 Twelve nations will compete in Panama For the Title of World Champion within the U-15 youth category. Group A features world No. 1 United States, No. 6 Chinese Taipei, No. 14 Panama, No. 19 Brazil, No. 21 Germany and No. 22 China. The group will play at the newly constructed, 8,500-seat Estadio Kenny Serracín in David. Group B includes No. 2 Japan, No. 4 Cuba, No. 8 Australia, No. 9 Netherlands, No. 12 Dominican Republic and No. 26 South Africa. The group will battle at the 3,000-seat Estadio Rico Cedeño in Chitré. Game 1: South American representative Brazil and U-15 European champion Germany will meet to open the IV WBSC U-15 Baseball World Cup 2018. Game 3: Wild card China will make their U-15 Baseball World Cup debut against U-15 Americas co-champion USA. Game 6: Host Panama will open with the U-15 Asian runner-up, Chinese Taipei. Game 2: Asia and Oceania's U-15 continental champions -- Japan and Australia -- will collide. Game 4: U-15 European runner-up Netherlands will face two-time defending U-15 World Champions Cuba. Game 5: U-15 Americas co-champion Dominican Republic will meet Africa's top baseball nation, South Africa. WBSC will live-stream 26 of the 50 games of the U-15 Baseball World Cup 2018 at www.youtube.com/wbsc. Coverage includes 15 Opening Round games, all 9 Super Round matches and the Finals (bronze medal match and World Championship Final), in addition to the opening and closing ceremonies. The U-15 Baseball World Cup 2016 had a total broadcast reach of over 60 million households and attracted online viewers from 192 countries and territories.